True crime author Rebecca Morris is unafraid of true crime cases filled with unanswerable questions. In December of 2009, Susan Powell went missing, never to be found. Was her creepy father-in-law to blame or her less than devoted husband? This story is practically a whack-a-mole game of weirdness, perversion and tragedy. Morris has been following this story and the people involved since 2011, she was forced to constantly rewrite the book with co-author Gregg Olsen as new revelations came to light. Dan spoke with her again on . 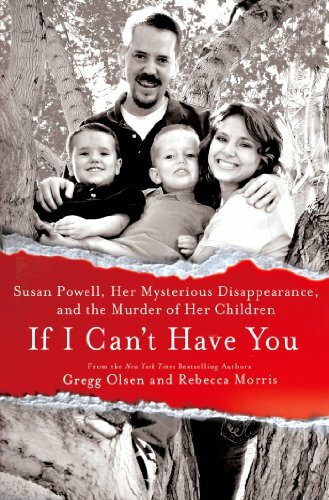 The disappearance and presumed murder of Susan Powell led directly to four other deaths including her young children, her husband, Josh, and his brother who committed suicide. Josh died by his own hand as well, but not before murdering his two boys. Josh’s father Steve Powell was convinced that Susan would leave Josh and become his wife. The young family was forced by his obsession to move from a shared home to another state. Later, Steve was convicted of taking pictures of neighbor girls through their windows due to the investigation of Susan’s disappearance. If you add his heart attack while in prison, the death toll edges up to six. This story has an added element of religious devotion and rebellion against the Mormon church which is an important part of the tragedy. The faith of Susan was her way of life and support. It informed everything, even the decision not to leave the manipulative Josh. The father-in-law Steve demonized his former faith which had an effect on Josh as well. Suffering indignity, Susan was forced to beg for food for her boys while he spared no expense for the tools and toys of his man cave using the money she alone had earned for their family. Although never happy with fatherhood, Josh fought obsessively to cling to his ill-fated children. Chuck Cox, the father of Susan, was especially well informed and helpful to the police as a former FAA crash site inspector. As the investigation closed in on Josh as the killer of his wife -with his brother as an accomplice- the story came to a fiery close. Life collapsing on his small soul, Josh set fire to his home with he and his already dead children inside. As in this life, so in the next.